Gonna start off this cannabutter recipe with some science to make this whole thing make sense. Cannabis/weed/marijuana/ganja is fat soluble so the best way to bind it to food is with an ingredient that can store it well. 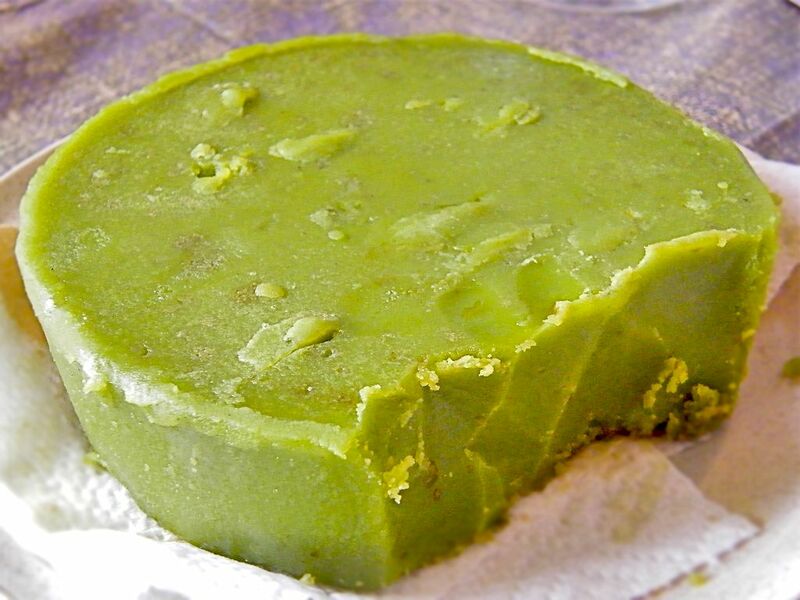 Thus butter is used because it has a very high fat content (something like 63% saturated fat), and if you keep the temperatures right you will not burn off any valuable THC that gives the cannabutter it’s potency and health benefits. Something to keep in mind during this process is that higher temperatures equal faster reactions. For this reason you will notice that we try to keep the temperatures below 350 degrees Fahrenheit. Now you’re wondering, what makes this recipe better than any of the other hundreds of recipes already out there for cannabutter? I’ve already written a dozen or so recipes for cannabutter that are for different circumstances and now I’ve decided to write a recipe that allows more leniency in the procedure to match whatever you’re doing. In-fact — I would even call this the best fool-proof recipe for cannabutter because a lot of the time there is a bunch of guess work put into the final potency of the product, too many complicated steps that you could destroy something along the way and with this I hope to explain what you’re going to get so you know if it’s going to be worth it. Disclaimer: This method is for research only, if you do not live in a cannabis legal state don’t do any of this. Also you’re going to skyrocket your tolerance by consuming edibles, some people claim they do not feel anything from edibles, these recipes are tailored for medical patients who need the potency intact. With that said everybody has their own scale of potency. For this I’m going to put a brief description of what’s what so you can compare my scale to your own. 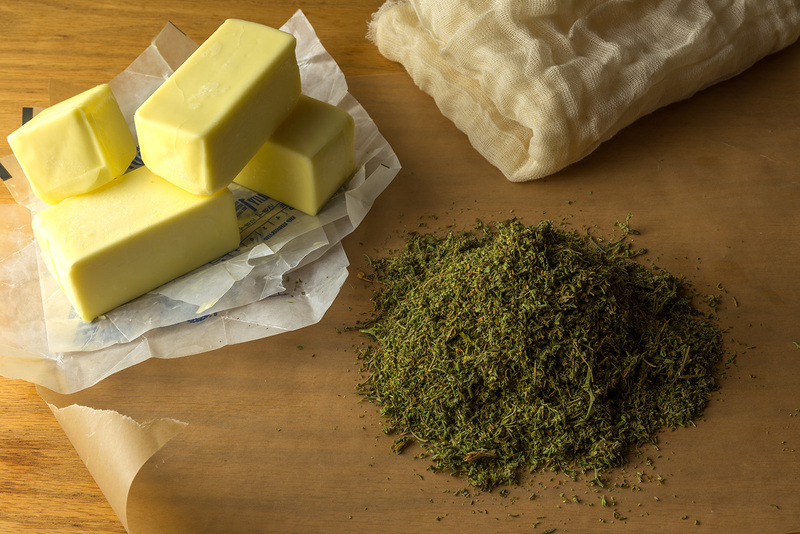 The main rule that’s been followed for ages is 1oz of High Quality Dry Marijuana per 1 (4oz) stick of butter. This isn’t always possible as some people choose lesser quality Marijuana and in which case if you don’t want to come out with a lame product I highly recommend using more. Follow my guide below. 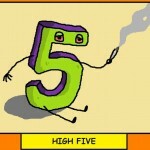 AAA – Top shelf, some dispensaries carry it but the price is usually ridiculous. 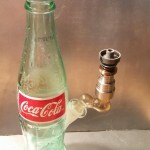 – the type that’s too nice to resell with a potency that is 1 hitter quitter. With this quality of herb I would use no more than 1/4oz of flower per 1/2 stick of butter. Also I would never use less than an 1/8th oz. If you know it’s very potent scale down but only slightly the 1oz per 1 stick of butter should be the maximum used with the most potent of weed, going past this point is overkill and ruins your tolerance for further endulgement. A – The second level of premium quality bud that’s certainly good but not the best, it could be dro but it’s still potent and looks nice. With this stuff you can do 1oz to 1.25oz of dry flower per 4oz stick of butter. Again over-indulging is a waste with butter as the taste becomes overpowering. B grade and below – Beasters, mids, seedless, green house, outdoors – With this stuff you gotta be careful because sometimes it’s potent and you can make it go over the top. Use your judgement for potency if you can smoke a gram and not feel that high you will most likely need to double the amount you normally use of this stuff. So if it’s not potent at all 1.5-2oz of dry herb will be needed. If it’s potent stuff than you can use as little as 1.25oz but no less since you don’t want to waste the stuff. 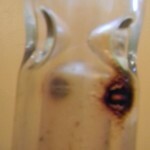 ABV – (Already Been Vaped) – Here it really depends how dark you vape your goodies, I exercise a lot and don’t like harsh hot hits so I don’t bring my volcano, MFLB, or pax to the higher temperatures. 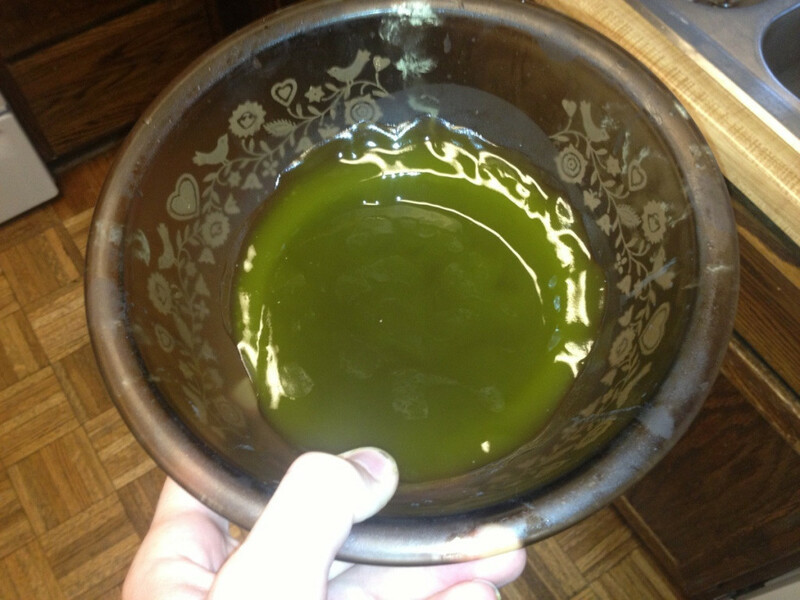 My ABV is usually a golden hue with some green still intact so I can make extremely potent cannabutter with only 1.5-2oz ABV per 1 stick of butter, considering I only vape high grade. Another thing I recommend is mixing in some fresh herb as well – mostly as a just incase. Mixing in 1/8oz of fresh per 1oz of ABV is a good rule of thumb since it counter-acts the vape flavor. It should be noted from experience the highest potency cannabutter I’ve ever made was solely from 2oz of ABV into a stick of butter. Trim – Shake – Popcorn nugs – Kief Only – adhere to the potency rule with popcorn nugs, shake and kief. 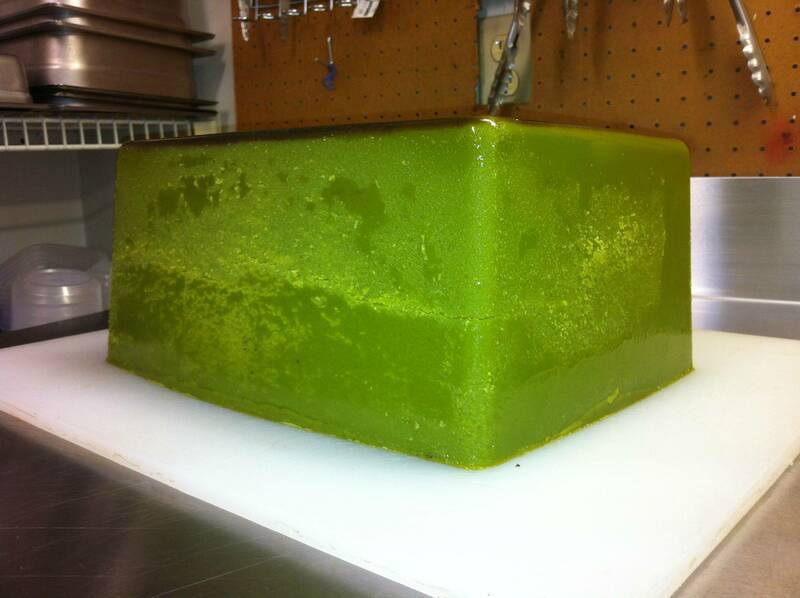 With trim though you tend to need a lot more product to make the cannabis butter concentrate. With heavily frosted trim you need to use at least a quarter pound to make what would be considered a 1/2 oz of fresh flower. Sometimes trim batches can be really potent so judge according to how potent the flower form is. Now that you’ve figured out how much cannabis to use in your cannabutter it’s onto the rest of the supplies/ingredients required to complete the best cannabutter recipe. Heat-proof glass bowl (pyrex bowl preferably) Large enough to hold the amount of butter you’re using plus water at the bottom. Step 1) Blanche the herbs by bringing water in crockpot, medium pot or electric kettle to a boil. Step 2) Place herb product in a fine tea strainer and then submerge into the boiling water for approx. 3 minutes. Step 3) Immediately place fine tea strainer full of herb into ice water for no longer than 1 minute and remove promptly. Step 4) Dry out the cannabis by squeezing it out right away and placing it on a baking sheet or aluminum foil in an oven pre-heated 20 minutes prior to 175 degrees Fahrenheit. Step 2) Place your butter into the french press and then place the french press into the boiler or pot, alternatively if you don’t have a french press you can use the double boiler on top of your boiling pot. Step 3) Slowly mix your herb into the french press with butter in it (or the double boiler) and cover the French Press if you have it but do not push down on the plunger yet. In a double boiler, cover the top. Step 4) Check the boiling water every 15-20 minutes for the next 1-4.5 hours to ensure that too much water evaporates — Higher temperatures cause the reaction to occur faster. The slow approach works best. Keep filling it up with water whenever it gets lower so that it doesn’t burn the butter in your press. Step 5) Once you have reached your max time boiling, it is now safe to push down on the French Press plunger or give a stir to your butter and herb mixture in the double boiler. Give it some time to cool down then empty the butter into cheesecloth above a bowl, squeezing out the cheesecloth fully to get every drip of cannabutter and no canna dreg leftovers. After an hour cooling place it in the fridge for at least 12 hours where the butter will solidify on top and the dreg waters useless fats sink to the bottom. Trick is to put enough in and not to “burn” it off. IF you see it smoking, it’s TOO hot. 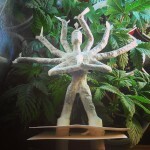 Slow and steady keeps it potent. Use as much oil/butter as your recipe calls for, with a slight addition if it’s gonna burn off anyway.